InterContinental Hotels Group will be joining a number of other hospitality industry leaders in the effort to reduce some of its single-use plastic waste. The hotel company announced today that it will remove plastic straws its properties worldwide by the end of next year. IHG’s portfolio includes some 5,400 hotels across 100 countries. The company has already eliminated plastic straws from its 1,000 hotels in Europe, the Middle East, Asia and Africa. In addition, IHG said it has begun the shift to bulk-size bathroom amenities, doing away with the small bottles typically found in hotel rooms. 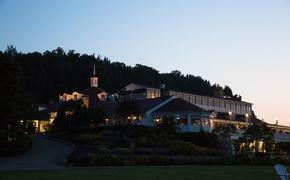 Barr said the hotel company’s efforts have not gone unrecognized. IHG was recently named an industry leader on the Dow Jones Sustainability Indices for the second year in a row. The International Tourism Partnership applauded IHG’s latest step forward in the effort to reduce the plastic waste that has a devastating environmental impact around the planet. It is now believed that there are 5.25 trillion pieces of plastic debris in the ocean. Of that mass, 269,000 tons float on the surface, while some four billion plastic microfibers per square kilometer litter the deep sea, according to Ocean Crusaders. What’s more, at least 100,000 marine creatures a year die from plastic entanglement (and those are the ones that are found by humans.) Approximately 1 million seabirds also die from plastic. Straws are a particular problem. Americans use more than 500 million of them every single day and most of them end up in our oceans polluting the water and killing marine life, according to For a Strawless Ocean. “IHG’s committed action to reduce plastic waste demonstrates its ability to be a force for good in local communities around the world. With initiatives like these, and through close collaboration, the hotel and tourism industry can continue to lead the way in setting clear and quantifiable commitments that improve sustainability,” said Madhu Rajesh, director, the International Tourism Partnership (ITP). 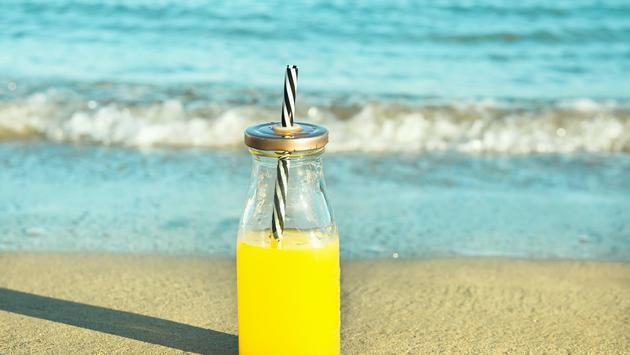 IHG said its decision to remove plastic straws from all properties around the globe will translate into the elimination of an average of 50 million single-use plastic straws from more than 5,400 IHG-branded hotels each year. As part of its announcement today, IHG also revealed that it is introducing bulk bathroom amenities in the Americas. The brands that will see this change include Holiday Inn Express, Staybridge Suites and Candlewood Suites. The newer EVEN and avid hotel brands have had bulk-size amenities since they were launched. Kimpton Hotels & Restaurants began rolling them out last year. IHG said sustainability was also an important part of its approach to developing its new upscale brand, voco Hotels. “We will seek to reduce single-use plastics by moving away from miniature bathroom amenities, working with the right suppliers to help us retain a quality feel, and we are exploring ways in which we can apply this approach to our other hotel brands,” IHG said in a statement. IHG’s longer-term plans, meanwhile, include a number of additional waste reduction efforts that are already underway around the world. For instance, through its partnerships with Clean the World in the Americas and Soap for Hope in Asia, nearly 450 IHG-branded hotels have collectively prevented nearly 200,000 kilograms of soap from going to waste. Instead of heading to a landfill, the soap has been recycled into nearly three million new bars for redistribution to communities who need it the most. In addition, IHG’s Green Engage system, an online sustainability program, recommends ways for IHG branded hotels worldwide to manage waste more effectively.